← How Prepared are You for Winter Storms? Winter Storm Warning: Take Action! A winter storm is imminent or occurring. If you hear a warning, immediately go home or shelter in place until it is safe to travel again. If you are home, bring in pets and plan to stay inside until you are told it is safe to go out again. Winter Storm Watch: Be Prepared! A Winter Storm Watch when conditions are favorable for dangerous winter weather. It does not mean the weather will occur, but it is possible. 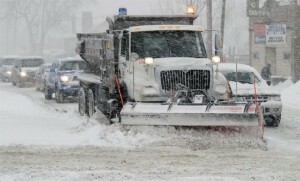 Make preparations for dangerous winter weather. This entry was posted in Education and tagged Advisory, cold, Warning, Watch, winter, winter storm warning, winter storm watch, winter weather, winter weather advisory. Bookmark the permalink.